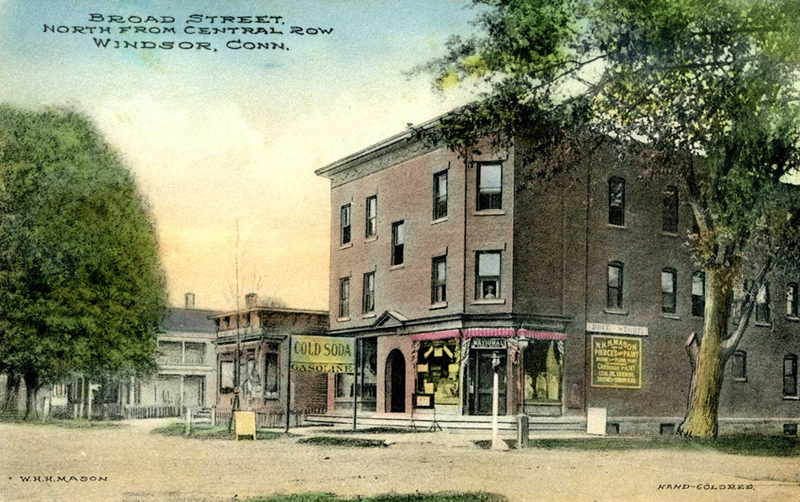 Description: Postcard featuring a hand-colored photograph of a portion of the commercial area on the east side of Broad Street, Windsor, Connecticut. A brick, three-story building at the northeast corner of Broad Street and Central Street is the most prominent building in the image. William H. H. Mason was a local businessman who owned the brick building and operated a drug store and soda fountain in this building during the early part of the 20th century.